Mainland China’s total sales from official lottery products increased 19.9 percent in full-year 2018 to approximately CNY511.47 billion (US$75.93 billion), show data from the country’s Ministry of Finance. Sales of welfare lottery tickets in the 12 months to December 31 reached approximately CNY224.56 billion, 3.5 percent higher than the figure in full-year 2017. Sports lottery sales grew by 36.8 percent year-on-year to CNY286.9 billion. The official data also showed an increase in lottery sales in all of the 31 provinces and cities of mainland China authorise to sell lottery tickets except Tibet, which recorded a year-on-year decline of 4.3 percent. 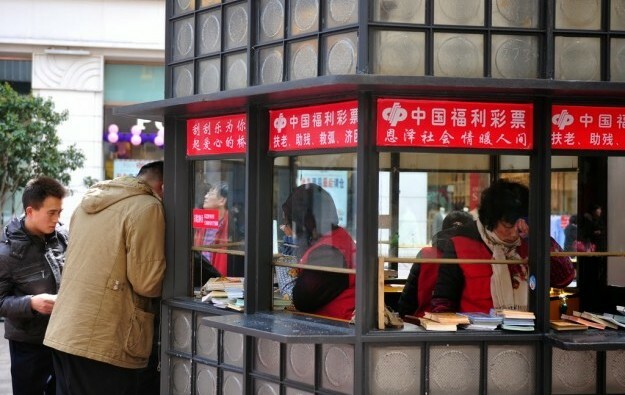 Growth rates in lottery sales of above 30 percent year-on-year were recorded in the Jiangxi and Guizhou provinces, said the Ministry of Finance. Sales of lottery products in December rose by 8.4 percent compared to the same period last year to CNY43.02 billion. According to the data, sales of sports lottery tickets reported a 17.8 percent year-on-year increase to CNY22.42 billion. Sales of welfare lottery tickets reached CNY20.60 billion, down by 0.2 percent from the prior-year period. Guangdong remained mainland China’s biggest single-province market for lottery products in full-year 2018, with total lottery ticket sales reaching CNY48.99 billion in the period, up by 15.9 percent from 2017. Guangdong was followed by Jiangsu province, where total lottery ticket sales were CNY44.50 billion, up by 25.3 percent year-on-year.